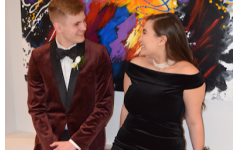 Prom is just around the corner and many students are searching for dresses; students who attended last year offered suggestions on how to go about finding the perfect one. 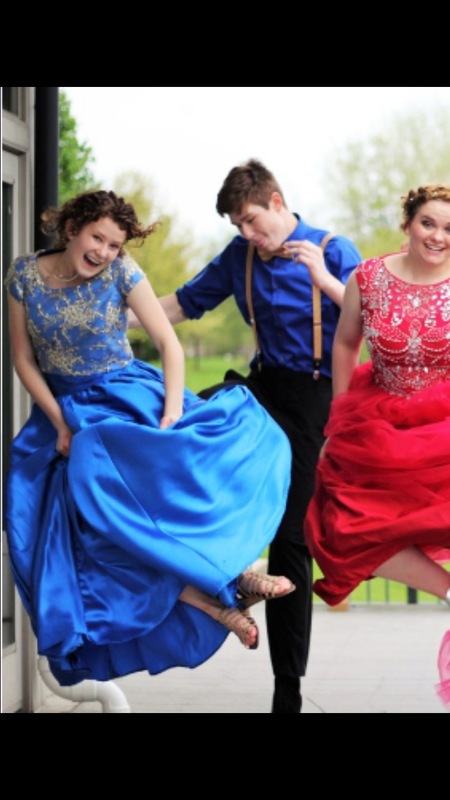 Senior Emily Johnson has made her own dresses for the past several dances. After making her own prom dress last year, Johnson realized why she enjoyed the process. “Sewing is how I express myself. I feel most comfortable to be myself when I wear clothes that match my standards, so the hard work is always worthwhile,” she said. 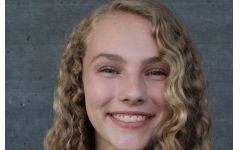 Johnson chooses to make her own dresses for many reasons; she loves designing them and the challenge of making a dress because you have to be meticulous and make sure all the parts line up. More importantly, her faith encourages her to dress modestly and making her own dresses allows Johnson to wear something beautiful which also fits her high modest standards. Senior Lilly Parker ordered her prom dress online from the website promgirl.com. She really enjoyed her prom dress shopping experience. “My dress came within three days, it looked even better than it did online and I would really recommend buying online,” Parker said. Junior Amy Oberhart has borrowed her senior friends’ dresses for her freshman and sophomore prom. “It seemed like the best option for me. I didn’t want to spend a ton of money on my dresses since I wasn’t even a junior or senior and I was still able to find a dress I loved,” she said. Oberhart never worried about people recognizing her dress from previous years, rather she enjoyed having an older dress. “Having a dress a little older allowed me to have a dress no one else had which I appreciated,” she said. Oberhart thoroughly enjoyed her experience borrowing dresses from her upperclassmen friends. Senior Lauren Groenenboom bought a Sherri Hill dress both her junior and senior year. She understands she spends more than the average high schooler, but she does so for two reasons. “I haven’t gone to many dances for starters and I also don’t dress up very often. I see dressing up for a dance as a treat and that’s how I validate spending more on my dresses,“ she explained. Overall all girls would agree that there is no wrong way to go about getting your prom dress. 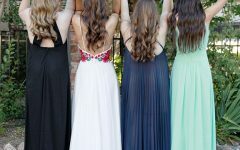 There are a variety of ways to shop for a prom dress and each girl can choose the option that works best for what they want.